Untangling your earphone cables are so hard and consumes a lot of time. Tangling also causes your earphones to be destroyed easily. According to Robert Matthews, physicist at Aston University in Birmingham. 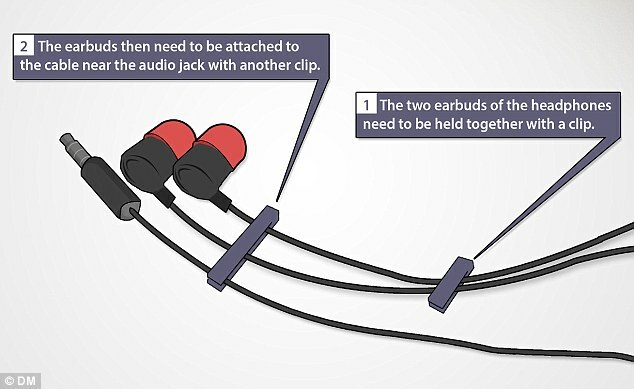 attaching clips to the end rear of the audio buds and attaching the two earphone cables will help solve the tangling. Earphone users tested this trick and it work. You will never have to buy monthly earphones for your precious iphone again. Just do the trick and it will save your day.